MAHO KUBOTA GALLERY is proud to present “Colours of Hiroshima,” an exhibition of new works by Kentaro Kobuke, opening May 12th, 2017. Kentaro Kobuke moved to London in 2006, where he now lives and works. His instantly-recognizable works possess the exceptional creativity and power of expression that are his trademarks, and many are created using the very simple technique of drawing onto boards of cherry wood with colored pencils. Layers of color drawn with colored pencils include vibrant color fields, and sometimes translucent colors, through which smooth nuances in the surface of the cherry wood support emerge subtly, producing rhythmic variations of color intensity that form beautiful contrasts aligned with the grain of natural wood. This is the context for a world of people and forests, mysterious creatures, waterside scenes, and glimpses of everyday life. Kobuke, who in his youth was impressed by the uninhibited paintings of Vincent van Gogh and Paul Gauguin, bypassed the art university system many Japanese artists go through, achieving a unique style almost entirely through self-study. Leaving behind the early days of the rough, free drawings that attracted attention at the time of his artistic debut, and pursuing more profound artistic expression, Kobuke went to study at London’s Chelsea College of Art and Design, where he received his MFA. Some of the artist’s early work shows signs of influence from American comics, Japanese manga, and illustrations from the 1980s. Characterized by heavy use of colored pencils drawn on paper with bold, carefree lines, his early works captivated viewers with the directness by which random images from the artist’s mind seem to be conveyed intuitively to the movements of his hand. Following Kobuke’s move to London, his works began to some extent to show new influences from British painting. Although techniques differ, his art now exhibits characteristics shared with works by artists like Lucian Freud, Paula Rego, and David Hockney. The approach at the core of the artist’s earlier work had been reminiscent of the Transavantgarde movement, expressing emotions such as joy, sadness, and fear in a fabulous world, but as Kobuke worked in London, his approach became linked with the historical context of social realism and British pop, which once figured prominently in British postwar art. His work flowered, taking on a new form that takes a sincere look at inter-personal relationships in daily life and at how people conduct themselves within communities, shining light on them and portraying them distinctly. In addition to expressing very personal emotions in a direct way, this recent work incorporates relationships between people, between individuals and groups, and between people and nature, and thereby portrays the fluctuations and changes of the wavering human psyche, transforming it into fable form using the artist’s narrative, making it universal. 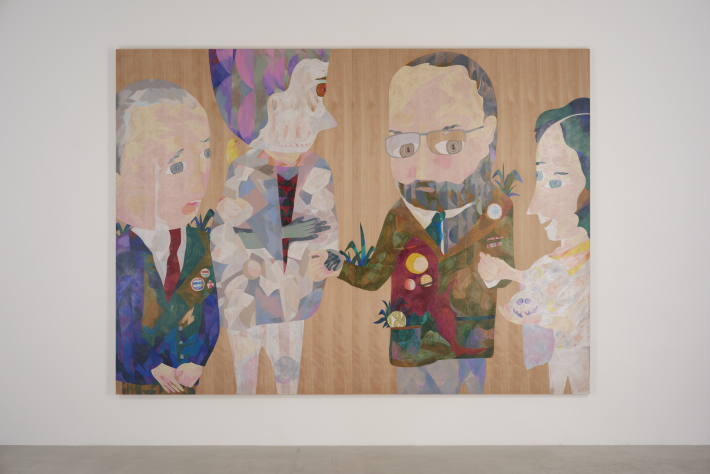 Although at first appearing to have no connection to social issues, or offer any critique of society, Kobuke’s practice is in fact a sophisticated method of revealing problems in contemporary society. Day-to-day realities that sometimes bare their fangs at us as we go about our modern lives are submerged in the flow of his creativity, which wells up as if it had wandered through the depths of a forest. It includes insights of clear vision that only Kentaro Kobuke can express, and the sensation of awakening within a dream-like world, leading the viewer to a greater flow of narrative. 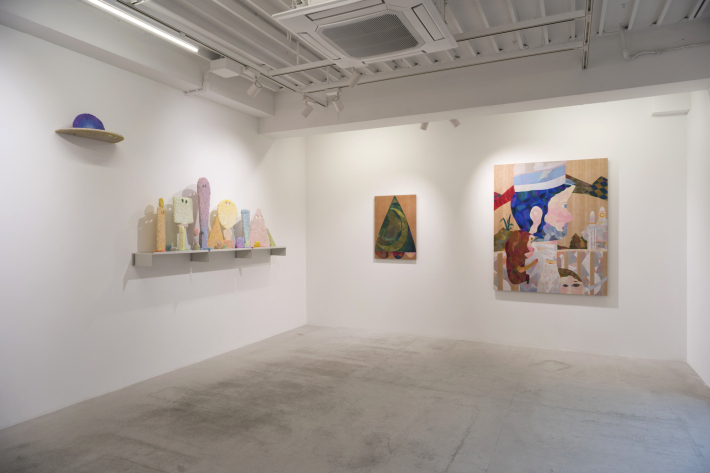 Many of the new works presented in this exhibition were created when Kobuke stayed in his hometown of Hiroshima for a four-month period after about a decade working in the UK. There are many faces of Hiroshima—the ‘Hiroshima’ that gained global symbolism in the middle of the 20th century, the Hiroshima of today, and the Hiroshima of earlier times. 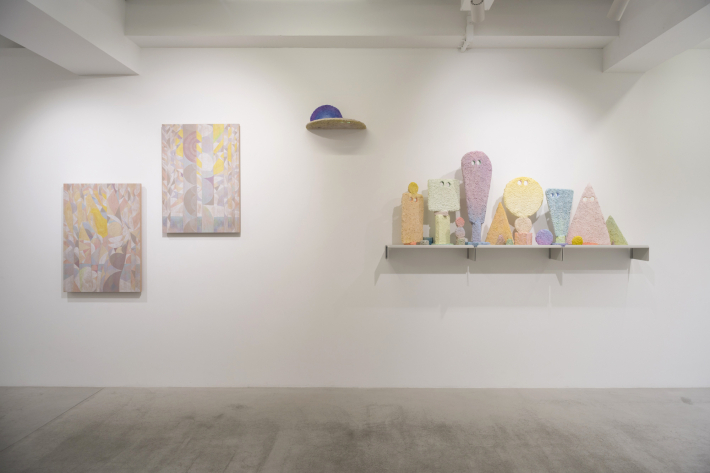 As with his previous works, Kobuke’s bright colors cleverly hide motifs with just a bit of venom or darkness, as well as unidentifiable creatures. These works can also be seen as a reproduction of the natural world mixed together with the artist’s own interpretations, making the world of his art more vivid and enabling it to connect with our everyday lives, along with the wonders of the natural world. A pin on a map marks Hiroshima, but the colors spreading out from it are not special colors. 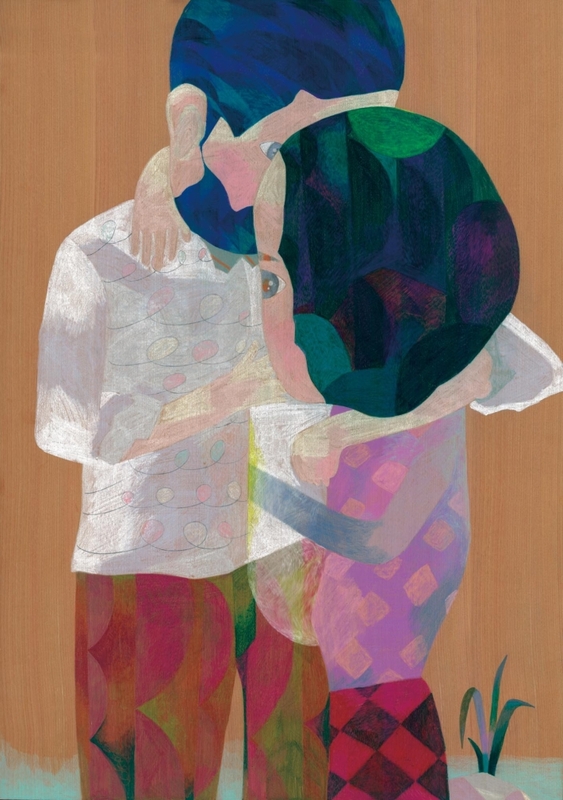 With his artist’s gaze, Kentaro Kobuke seems to be communicating that these are bright colors that were originally drawn within the viewer’s mind. They represent the brightness of life that shines quietly but steadily in our daily lives.